Dr Newton is a pediatric orthopedic surgeon with over 20 years of practice who specializes in the care of childhood and adolescents with spinal deformities. He completed his undergraduate training in Bioengineering at UCSD before getting his medical degree from Southwestern Medical School in Dallas. He returned to UCSD for his orthopedic training and was back to Dallas at TSRH for his pediatric orthopedic fellowship. 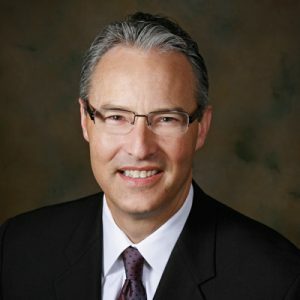 He joined the pediatric orthopedic group at the Children’s Hospital San Diego in 1994 and is the chief of the Orthopedic division at Rady Children’s Hospital in San Diego California. He is also a clinical professor in the department of Orthopedic Surgery at the University of California, San Diego. He is a past president of the Pediatric Orthopedic Society of North America and currently president of the Scoliosis Research Society. His clinical interests have been focused on novel treatments for scoliosis including: thoracoscopy in anterior thoracic spinal surgery, posterior methods designed to maximize the 3-dimensional correction of scoliosis as well as fusionless methods of spinal growth modulation. He leads the well-recognized Harms Study Group in their effort to produce influential multicenter scoliosis research and is president of the foundation, Setting Scoliosis Straight. In addition to clinical outcomes research, his laboratory has been involved in the basic science of spinal growth, biomechanical studies related to implants and 3-dimensional imaging methods and quality improvement. Dr Newton is committed to advancing the field through excellence of clinical care, education of future generations and innovative research.